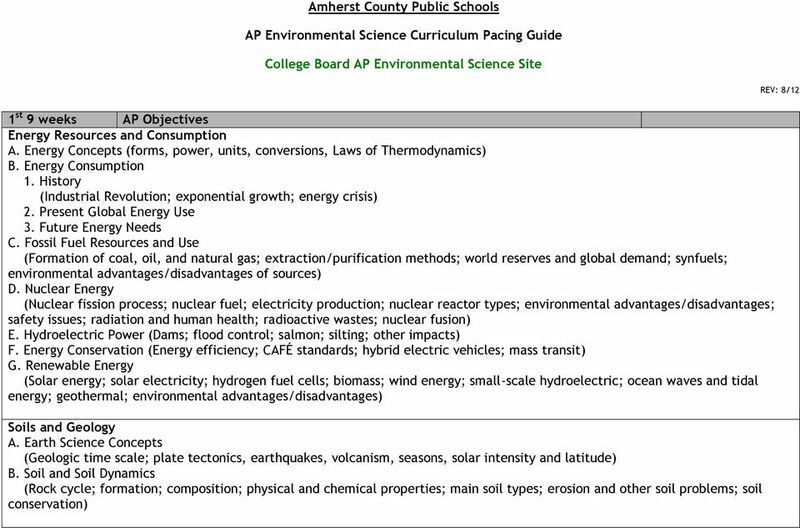 Download "Amherst County Public Schools. 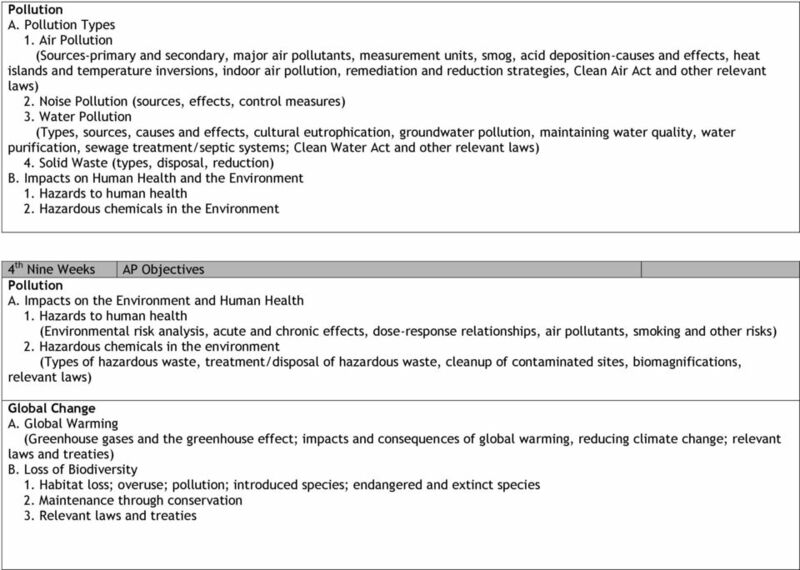 AP Environmental Science Curriculum Pacing Guide. 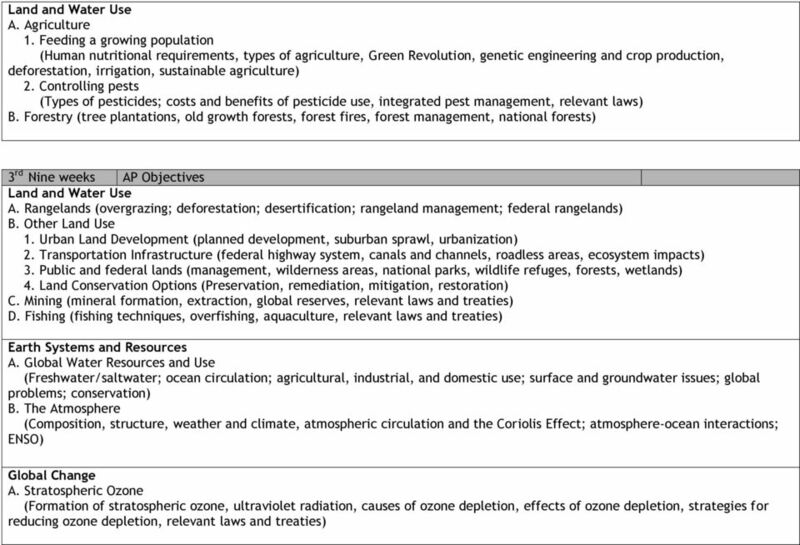 College Board AP Environmental Science Site"
understand the interrelationships of the natural world and draws upon various scientific disciplines. Explain how the ocean regulates Earth s temperature. 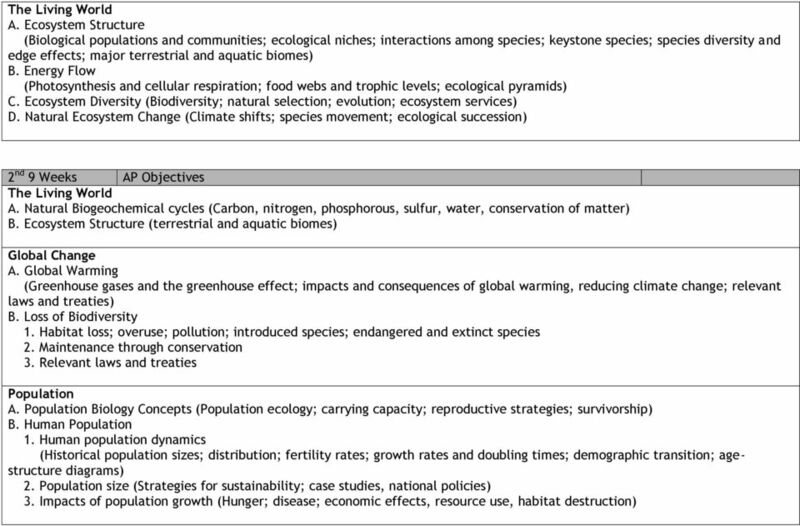 Discuss the factors that confine life to the biosphere. II. INSTRUCTIONAL MATERIALS A. Required Textbook: As noted in CTC Instructional Materials website, http://www.ctcd.edu/im/im_main. The size of the class averages around 31 students and meets for 55 minutes, 5 days a week. CHEMISTRY. c. What is the relationship between mass and volume? d. How is density related to buoyancy? (Why do things float or sink?